There are 56 operational natural gas compressor stations located in New York State. Each year, these industrial operations release tons of toxic pollutants - made up of 70 different chemicals - into the environment. These 70 chemicals are linked to 19 of 20 major categories of human disease. Health care providers practicing in or near areas where compressor stations are operating should be aware of the chemicals being emitted, and the possible health impacts of exposure to those chemicals for their adult and pediatric patients. See the map. 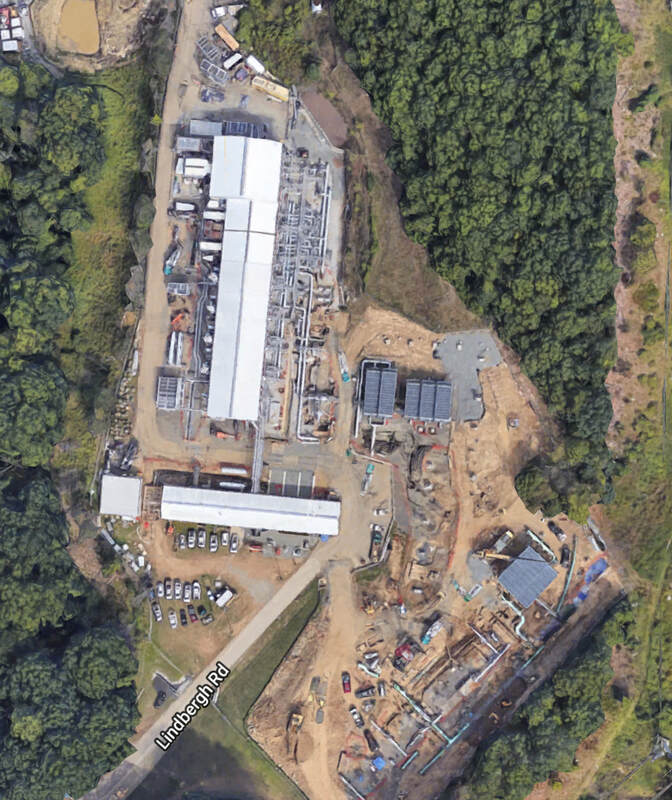 The natural gas compressor station located in Stony Point, New York. Natural gas compressor stations, located every 50-60 miles along natural gas pipelines, help push the gas through the pipeline to the next station. During normal operations, they emit a mixture of chemical toxins into the air that are known to impact human health. These toxins can be carried downwind from the compressor station to residents in surrounding areas, impacting people living within a six mile radius of the compressor station. Emissions can include particulate matter and volatile organic compounds including benzene, toluene, hexane and xylene, and formaldehyde. Emissions occur continuously during normal operations, as hazardous pollutants carried with the gas are vented or leak from equipment. They can also occur during routine maintenance operations such as “blowdowns” when large amounts of chemical contaminants are released into the air intentionally. Emissions from natural gas compressor stations are known to cause both acute and chronic health impacts. Some occur at a relatively steady rate, while others occur in episodic peaks. Weather conditions and wind direction may affect an individual’s actual exposure. As a result of these factors, acute health symptoms may be persistent, episodic or temporary. The episodic intense peak exposures, which may last for minutes to several hours, can precipitate acute health symptoms, even though the total emissions averaged over a 24-hour or longer period can appear to be much less. Exposure to the air contaminants increase an individual’s risk for the development of or worsening of pre-existing respiratory or cardiovascular disease. In addition, some of the contaminants have adverse neurologic effects; others are carcinogenic. Download the pamphlet "Important Information for Medical Professionals"